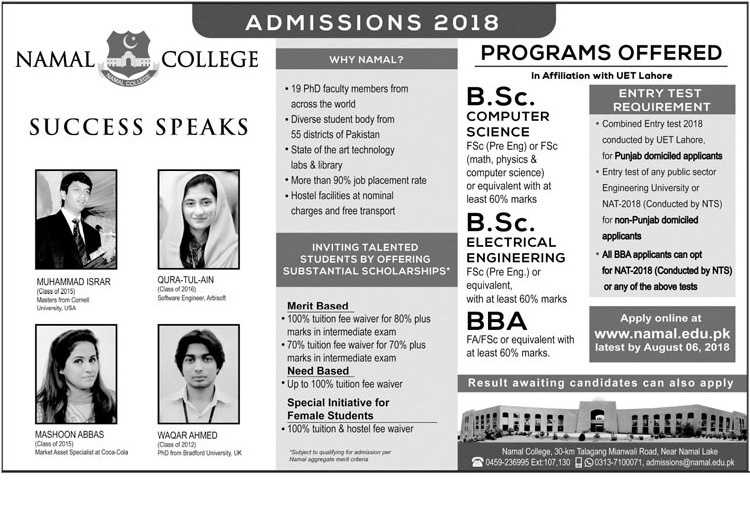 Admissions Open at Namal College's Mianwali Campus for the batch Fall 2018. NC offers admissions in different fields of study for Bachelors. you can apply for B.Sc. - Bachelor of Science, and BBA - Bachelor of Business Administration, , . University Address Namal College, 30km Talagang Mianwali, Near Namal Lake.